Space planning data yields best effects when it is communicated to all involved stakeholders in the supply chain in an up-to-date and convincing manner: Category management, furnishing planning, sales logistics, rack jobber, field service, trade partners, branches, franchisers, customers exchange their planogramming data via the XPace Enterprise Server. Publish your planogramming data to a wider audience with XPace Enterprise Server. The Enterprise Server uses standard Internet protocols and provides product data, images, components and planograms for external and internal users. XPace Enterprise Server is a private cloud hosted on your own systems. On the XPace Enterprise Server you prepare the basic data for space management – product data, components, images, textures – for your XPace users. The data is not only available for local users, but also for external users, e.g. your field staff – Internet access and authentication in your intranet is sufficient. All users work with the same up-to-date data; XPace is no longer limited to internal users at headquarters, but can be extended to field staff, branches and foreign representatives. The users log on to the system with different roles and have different rights (read, write, modify). You can also manage your XPace planograms centrally via the server. Users can retrieve planogram projects from the server, edit them locally and restore them to the server. XPace Enterprise Server implements centralized planogram management and makes the latest shelf plans available to all users. 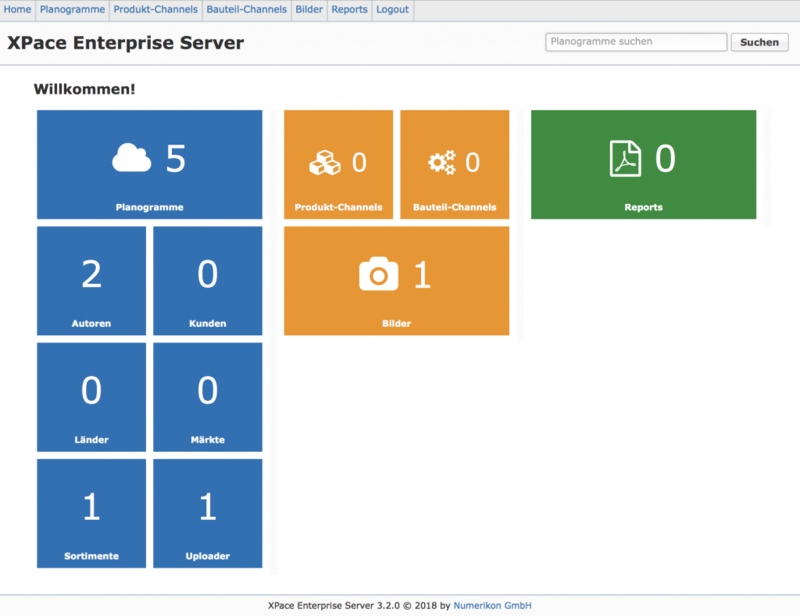 XPace Enterprise Server presents planogramming data in the web browser. Visit the home page of your XPace Enterprise Server, navigate through the provided planograms and product data and load shelf plans, analyses, lists and reports directly via your browser. Planogramming data is thus available to all other users who do not have their own XPace installation and who want to work with the shelf plans and reports in a read and evaluation manner as part of retail marketing. The feature overview shows the most important functional areas and their assignment to the XPace modules. XPace Enterprise Server is a private-cloud application, hosted by your own IT department. Your database stays completely under your control, as no external or offshore server is used for storing your data. XPace Enterprise Server supports secure data connections with SSL/TLS to protect your data.